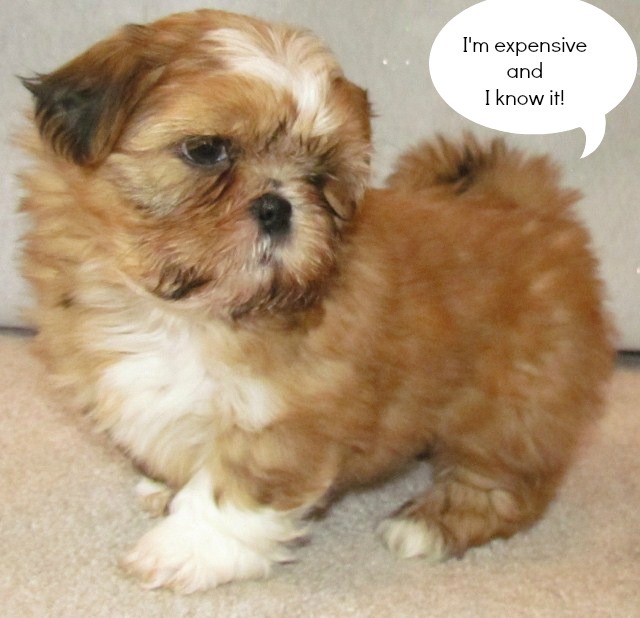 Need a Shih Tzu supplies list for that shopping spree you're planning? This is the fun part of getting a new puppy, but also a costly activity. We thought we’d help by giving you a ready prepared dog supply checklist. I often wonder why more people don’t give their friends a puppy or dog shower. Wouldn’t that help heal the bank account? There is so much to prepare, but having the essentials right from the start helps the transition to new puppy parenthood smooth. 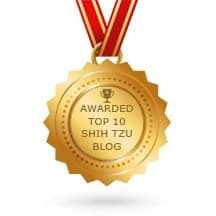 Before the licking, yelping, and puppy kisses take over your life, here is the list of Shih Tzu supplies we prepared to help make those first few days a success. Dogs need bowls that can be easily washed and sanitized. Bowls made from stainless steel or ceramic make the best choice for food and water. You can get very classy when picking out bowls for your new puppy. Many people with small breed dogs prefer to use dog water bottles rather than bowls. Water bottles such as those sold for use with rabbits or guinea pigs work very well. 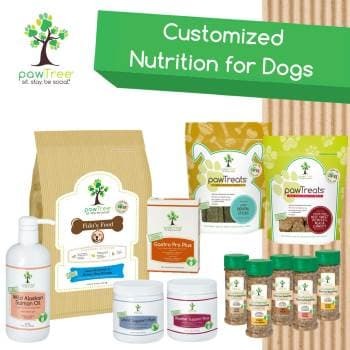 Dogs need a food that is appropriate for their size and developmental stage. But more importantly, they need a high quality food that will provide all the ingredients needed for growth and maintenance. 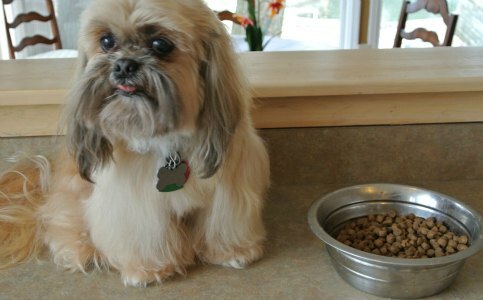 Since Shih Tzu dogs do not eat a large quantity of food, many owners prefer to find the highest quality food that their budget will allow. Puppy foods are designed to provide adequate nutrition for the rapid growth phase without overdoing it on the calorie count. It is important to continue to feed your dog or puppy the same food that they have been eating, gradually replacing their diet with the food of your choice. 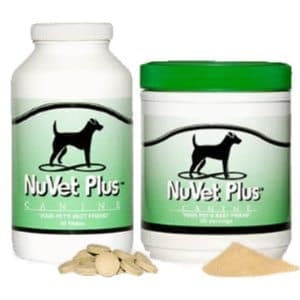 If you want to begin training, you will need Dog treats to help make it easier. Plus, everyone loves to provide a treat now and again. Training involves a positive reinforcement approach where dog treats serve as the reinforcement. Because it’s easy to overdo, make sure dog treats provide a tiny bit of flavor, not a meal replacement. Most importantly, treats need to be healthy. Don't make the mistake of purchasing a quality dog food only to pick a cheap treat that provides little if any nutritional value. Finding good healthy treats that your dog will love is often as difficult as finding the perfect food. Some Shih Tzu dogs are crazy about their toys -- the more the better. You will find these dogs carrying around toys, burying toys, and hoarding them from other dogs. Some Tzu's enjoy the occasional bone but have little interest in toys. 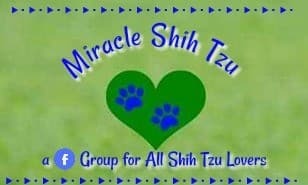 The vast majority of Shih Tzu dogs are somewhere in the middle. Puppies, on the other hand, love their toys: Chews, Ropes, Balls, Soft toys, Hard toys, toys that make a lot of noise, toys that are comfort items. The trick with toys is not to provide all the fun at once. Offer a few choice toys and keep the rest hidden away. Rotate frequently to keep your dog interested. Chew toys are a MUST if you are getting a puppy and adult dogs love toys as well. Puppies love to chew so a wide assortment of things that are appropriate for them to chew will help keep your shoes and furniture looking new for a while longer. AND not to mention – your fingers!! There are plenty of age-appropriate and size-recommended dog chew toys on the market. Remember small dogs have small mouths, so forget those large balls and opt for a smaller version of a tennis ball. For small breed dogs, the chew toys need to be small and ones that they can sink their teeth into easily. Love those soft plush toys? Our dogs sure do. I buy them in two sizes, small ones that puppies and adult dogs can carry around in their mouths, and extra large ones that everyone can enjoy. Dogs especially love the different sounds that soft toys make such as those that contain squeaker toys or crinkly material. Some puppies will use their stuffed toys as a pillow, so make sure you have some comfortable ones as well as ones that squeak or make other sounds. It might be cute to purchase that foot long raw hide bone, but save your money. Your tiny dog will likely not give it a second look. Besides, raw hide bones are not a good choice for dogs. Look for durability. Cheap, soft rubber toys might look cute, but may be ripped apart quickly and possibly ingested. A word of warning: Monitor your puppy during playtime and remove any destroyed toys immediately. Dogs need a safe, comfortable, clean spot to sleep, even if you insist your small breed dog share your pillow. Many owners find crate training an indispensable tool in the house training process, and this answers the question of where to encourage your dog’s slumber spot. An appropriate sized crate with a soft cozy crate pad is just what puppy needs for a secure place to lay his sleepy body. Here's a couple of cozy bed ideas that will fit comfortably in a small sized crate. What’s an appropriate crate size for a small breed dog? If you plan to purchase one crate for puppy and adult dog, opt for the larger size that puppy can grow into. The larger size can be reduced by adding a wire divider. All dogs should be able to stand up, turn around and stretch out comfortably in a crate. A typically good size for the Shih Tzu breed is an 18 x 24 inch crate. It will seem extra large for a small puppy but you can make it smaller by dividing it into a bed and a bathroom area by placing a small dog bed on one side and a pee pad on the other side. If crate training is not on your list, consider a soft bed, placed in an area that is close to you. Small dogs will sleep anywhere near you, but they definitely prefer plush, soft, cozy places. Here's another bed design that your dog might find very cozy. Anyone who questions the need of this item has never had a dog. Puppies and even adult dogs will have accidents, especially small breed dogs. A good supply of cleaning supplies is indispensable. Enzymatic cleaners, which break down proteins such as the ones found in urine, are very helpful for those house training incidences. Cleansers designated “pet safe” are a good way to ensure your tiny dog won’t get sick even if they try to sample the cleaner. Stock up on paper towels, unless you love to do laundry. I've probably tried every brand, but I keep coming back to Nature's Miracle. As you might imagine, I buy it by the gallon or larger and use the gallon size containers to fill up smaller spray bottles. I've used all of these cleaners and they all work fairly well. While purchasing those enzymatic cleaners, decide whether you will need pee pads. If you plan to confine your puppy or dog while you work, you might want to consider what would happen if they must relieve themselves before you return. Traditionally, newspaper was the product of choice, but pee pads actually work better. They are scented to encourage use and have a plastic backing to prevent accidents from seeping through. You can purchase durable washable pads or paper disposable ones. While the disposable ones look as though they would be the easiest to use, many puppies find that they prefer to shred them than urinate on them. Here are a couple of high quality disposable pads to consider. The first one is large and thick. Here is a small version and would fit better in a plastic holder. If you decide to use these wee wee pads for housetraining, you may want to purchase a holder. This plastic holder will protect your floors from spillage and leaks. The other great feature about a holder is that it will hold the pad in place preventing the puppy from using it as a chew toy. This might seem like more work, but in the long run this could be a better choice because they are durable and can be laundered over and over. They are also more eco-friendly producing less trash. Don’t forget yard clean up. If you plan on walking your dog outdoors, you will need small poop bags and/or a pooper scooper. We have found that the two-part scoops work better than the hinged versions. Those Scoopers with a rake work better on grass, and the flat-edge pusher varieties are better for cement surfaces. Look for a set that includes both the rake and flat edge pusher. Little plastic poop bags work great if you are out and about with your dog. Picking up after your pooch is critically important. While cleaning supplies are fresh on our mind, don’t forget keeping that tiny fur ball clean as well. We'll let you forgo the curlers, (at least for now!) No, really I've never met anyone who wanted their Shih Tzu coat to be curly! Here we’re really talking about shampoos and conditioners, combs, brushes, nail clippers, tooth brush & paste, and any extras that might appeal to you. At the very least you will need a brush and a good quality dog shampoo. Human shampoos should not be used on dogs. 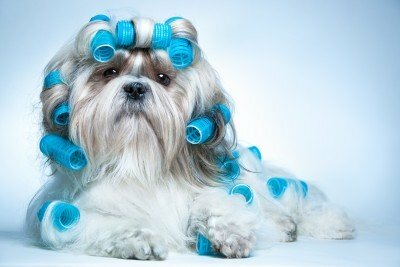 If you intend to have your dog professionally groomed, your list of supplies will be less. For those do-it-yourself folks, a good list of grooming supplies can be found here. Additional supplies: Small Scissors, clippers, tweezers, cotton pads, de-matting combs or rakes, ear powder, blood stop powder, cologne, spray detangler, clippers. Dogs aren’t born knowing how to walk on a leash. Training them to get used to a leash and collar or harness should be on the top of your to-do list. For young dogs still learning manners, make sure your leash is short enough that they will be in your control and save the long leashes for when they are a bit older. A four foot leash works well, but if you want to purchase one that you will be able to use into adulthood, consider a 6 foot leash. Tiny puppies tolerate small, light leashes best and they are usually four feet long and ¼ inch thick. A harness works especially well for small Shih Tzu dogs and should be used for initial leash training unless you can't find one small enough. You will still need a collar because you won’t be able to add tags to a harness. A harness should not be kept on a long haired breed dog because it seems to encourage mats from forming under the harness. You might also want to add a soft travel carrier to your list. These attractive carriers can be used for visits to the vets, fit under the seat in an airplane and can be toted into a hotel room. Collars should be snug enough that a dog can’t back out of them, but large enough for one or two fingers to slip comfortably underneath. Remember, you will probably need to replace the collar at least once while your puppy is growing. Your puppy will receive a rabies tag from your veterinarian, but there are other ways to assure your dog can be identified in the case of an emergency. A dog tag can be purchased inexpensively that includes the dog’s name, your name and telephone number. The best way to assure your dog is identifiable is through micro chipping.